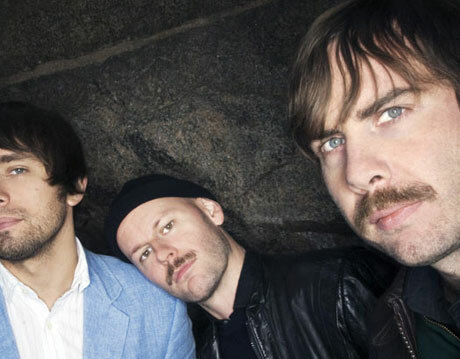 After giving Kanye a little sneak peak, Swedish whistle team Peter Bjorn & John are finally going to let the rest of us in on their new album. Dubbing the LP Living Thing, the not so young folks have confirmed that their proper Writer's Block follow-up will drop March 31 courtesy of Almost Gold Recordings/StarTime International here in North America. And while a spring release may feel a long ways off, there are a few teasers up for grabs. If you're willing to disclose your email address, PB&J will give you a free download of the album track "Lay it Down," which debuted late last year in the form of a rather creepy, self-referencing video and is now up on the band's website. Also, courtesy of Kanye West's blog, over here you can get the track "Nothing to Worry About," which in the all-caps words of Kanye: "DRUMS ARE CRAZY AND I LIKE THE KIDS ON THE HOOK." As far as touring goes, PB&J have a few dates lined up over in Europe but as of yet there are no signs of any in North American. 2. "It Don't Move Me"
4. "Nothing to Worry About"
5. "I'm Losing My Mind"
11. "4 Out Of 5"